Sadly, former West Ward Councilor and Willoughby Mayor Greg Bartels has passed on. A full obituary will be published in due course. Hopefully, some WestWarders can make it to his funeral. Gregory Bartels has devoted a great part of his life to public service and to a large range of community activities. Educated at St Ignatius College Riverview, Mr Bartels was a Lane Cove local from his earliest days and was a resident at St Johns College, University of Sydney, after graduating from school. At the young age of 17, Mr Bartels enlisted in the Australian Naval Reserve and served in the Pacific campaign from the early landings in New Guinea until the liberation of the Philippines. In 1946 he was promoted to officer rank and served again for the victory contingent to England before being demobilised in 1947 at the rank of sub-lieutenant. However, his military history is but one of many significant areas of which his contribution allows me to feel proud of his Lane Cove roots. Mr Bartels continued his public service with the Commonwealth, and it was during this time that he completed his university degree in arts and was prominent in student affairs at both the State and Federal level before becoming president of the National Union of Australian University Students in 1952. Following the completion of his degree, Mr Bartels began his outstanding period of service to the United Nations Secretariat. Mr Bartels was responsible for the establishment of the Freedom from Hunger Campaign in Australia and New Zealand and negotiations on the treaty agreed to in 1968 between the United Nations and the Government of Japan for the employment of Japanese nationals in the United Nations secretariat. Further, he served four years as treasurer of the United Nations International School Council. My deep respect and love for Mr Bartels is relevant not only to my capacity as the member for Lane Cove but also to my role as Minister for Fair Trading. Upon his return to Australia, Mr Bartels was given a dual appointment by the New South Wales Government as the first Commissioner for Consumer Affairs and Trade Practices. He subsequently became a senior manager with the British Tobacco Company Limited and held directorships with WD and HO Wills Limited and Amalgamated Holdings Limited. After a period working with the Association of Independent Schools of NSW, Mr Bartels was offered the position of director general of the Australian Institute of Company Directors, which he occupied continuously until his retirement in 1991. 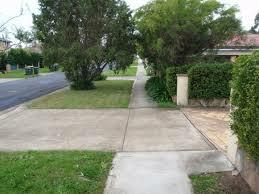 I make particular mention of his service to the Liberal Party. 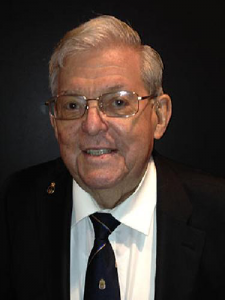 Bringing his extensive experience in so many different fields, Mr Bartels served as general secretary of the New South Wales Division of the Liberal Party from 1978 to 1981. Gregory Bartels is a man of many talents with a wealth of experience. His community involvement spans decades, including his time as mayor of Willoughby City Council. As well as holding that important civic position, Mr Bartels also served as a patron, chairman, board member and director of so many local groups that the entire list is far too long to mention today. Nonetheless, I will mention just a few: Chatswood Golf Club, Chatswood RSL Club, the Northern Sydney Area Health Service Board, Riverview College Foundation, Chatswood Community Care Association, and many many more. Mr Bartels’ experience in business and government, from local involvement to international involvement, makes him an exceptional asset to our Lane Cove community. This was recognised as he was made a member of the Order of Australia in January 2000 and awarded the Centenary Medal in 2003. These are remarkable and well-deserved achievements. Whilst there can be no doubt that Greg’s late wife, Jill, and their four daughters, Kerry, Robyn, Julianne and Michelle, were enormously proud of their husband and father’s contribution to the community, it is important also to mention the familial support for Lane Cove. Mr Bartels’ eldest daughter, Kerry Chikarovski, served as the member for Lane Cove immediately before I was elected in 2003. Lane Cove is home to some of the State’s most valued citizens, and I am proud to stand here today as the member for Lane Cove and speak of the extraordinary contributions of a man like Greg Bartels.